The Legal Blitz caught up with one of the fastest rising stars in the sports agent field, Darren Heitner. Heitner, a 2007 valedictorian at the University of Florida, earned his J.D. at Florida’s Levin College of Law in 2010 and is now an associate at Koch Parafinczuk & Wolf. 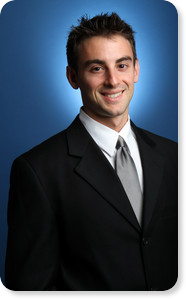 He is the founder of Dynasty Athlete Representation and SportsAgentBlog.com. Heitner’s popular blog attracts more than 125,000 page views per month and has propelled him into the media spotlight as one of the top voices for the sports agent industry. Heitner travels extensively speaking at various sports law symposiums and conferences. He has also contributed academic scholarship to many journals including most recently the Harvard Journal of Sports and Entertainment Law and the Virginia Sports & Entertainment Law Journal. When did you start SportsAgentBlog.com and where did the idea come from? I started it on Dec. 31 2005. I had an internship in the summer of 2005 at Career Sports Entertainment in Atlanta and when I finished I went back to school — it was my junior year of undergrad at the University of Florida and I was a political science major with minors in geography and mass communications — and I kind of felt underwhelmed. I really enjoyed my experience at Career Sports and I wanted to continue learning about the profession and I wanted to get my name out there as much possible, so that is why I started the blog. At that time, blogs hadn’t really caught on. They were really just personal journals. So we got in at a really good time and I didn’t really expect that it would grow in the way that it has, but fortunately it has and it has become a business of its own. What type of law are you practicing? Aside from the sport s and entertainment law, I’m doing intellectual property, insurance defense, employment law, worker’s compensation, personal injury…I’m all over the place so I’m doing a lot of litigation with a lot of transactional work as well, so it makes for really interesting days. Are you glad you went to law school? Was it worth it? I’m very glad I went. I’m doing what I always wanted to do which is practice law. I also have a large entrepreneurial spirit and luckily I am with a firm that allows me to continue working on things on the side. I’m a businessman but I am also very interested in the law so I guess I’m in the perfect situation for now. If you have a client who goes undrafted , maybe a 6th or 7th round guy that falls out, but had a lot of interest in teams to get training camp invites, now what do you do during the lockout? If he would normally be in a training camp then hopefully during the time you could talk to teams you did so you could get a good gauge in how interested they really were in the player so that if they didn’t select him, you figure you are in good shape to get him into camp. But you are stuck in a tough place because that player needs to keep training if he is going to be in the NFL. So you will likely have to front the funds for the training because normally he would be with the team at this point. So if I had that type of player I would hold out and hope the NFL is coming back. For guys who are not surefire training camp/practice squad guys then there are other options like Arena Football, UFL and the CFL. It is something agents have to discuss with their clients and really sit them down and explain what they are risking if they hold out for the NFL and then no team is interested in them. It is a case by case decision. How will a possible NBA lockout differ from the NFL’s situation? The main difference is that in the NBA you have teams that are losing money where in the NFL you have teams that want more money. In the NFL, as far as we know there is no team that is not profitable. In the NBA we know that there are teams losing money and the reason that we are lead to believe that there is no team in the NFL that is losing money is because if they had claimed that — which they haven’t — that would be the first thing they would say, ‘Oh we are losing money’ and then they would have to open their books. Well they haven’t had to open their books at all because it is based on the fact that they are not claiming they are losing money. So in the NBA you are going to have teams that have to actually open their books and show that they are losing money. That will be negotiated and dissected. So it is tougher there because while players want to keep the split 57-43, they might not be able to. Their argument is not as strong as the NFL because without a league they won’t be making the money they are. So it is in everyone’s interest for the league and the individual teams to be successful while the players are also making as much money as possible. So it is a very different environment with the NBA than what it is with the NFL. What is encouraging for the NBA is you have ratings off the charts for the playoffs, you have a lot of interested advertisers, so there is hope that the NBA will grow, but the NBA is not close to what the NFL is in terms of the amount of revenue that is generated. Do you think international teams will become attractive employers to players in the event of an NBA lockout and how does your job change dealing with those foreign teams? It’s tough. That is where you are going to need an experienced negotiator, someone who understands contracts. If there is a player, someone who is a free agent that has played in the NBA before and you are his agent, are you going to tell your player to go overseas in the meantime? And how will NBA teams react to that? In the contracts themselves, if you have the player going overseas, you better have a clause that makes it very easy for the player to get out of that contract if and when the NBA comes back because you want that player going to immediately train with the team. And I’m sure a lot of international teams will be reluctant to agree to that because it could destroy their team to have a player leave midseason. I think the overseas market will benefit from any sort of lockout at least short term, but it will be interesting to see how these contracts are crafted. I’m sure there will be at least one agent who doesn’t do their due diligence and really screws over a client. It comes up constantly — will the NCAA ever actually pay athletes? No. They have held on to this idea of amateurism from the start and I don’t see it changing. For one, at least in terms of the tax implications, they are able to benefit from not having to pay taxes. If it starts being treated as a professional organization — which would be easier to explain as such if there are payments being made to athletes — how do you differentiate that from the professional ranks? There needs to be some sort of distinction there and the main distinction is that athletes are not paid. They are given a mild benefit in terms of scholarships, but I don’t see that changing anytime soon. What would you do if you were a lawmaker examining this issue? What do you propose? I’ve changed positions on this, but I am now a believer that these athlete-agent laws are ridiculous in the first place. I think agents should be able to pay athletes, we live in a free market economy and it is just competition. If a player is going to pick an agent just because that agent gave him a certain amount of money, then so be it. But at the same time, I’m a lawyer and you have to follow the laws. You don’t break them to show you don’t agree with them. I think if there are regulations it should be done on a federal level, but that is another issue. If you want to talk about the laws themselves and what is wrong—it is the enforcement. It is not the legislation itself. It is the enforcement. If you have a large civil penalty that is actually enforced, then that is enough of a deterrent. But to put an agent in jail for up to 10 years which is what Texas wants to do with their new legislation, I think that is ridiculous. I don’t think the penalty fits the crime there. Actually at this sports lawyers association conference I asked a question to the gentleman from the secretary of state of Texas, which was “What is your justification for penalizing agents for offering or providing benefits to student athletes but not also penalizing the athlete who takes it? What other crimes are there that only penalize one side of whatever the criminal action is?” He couldn’t provide any justification. So you know, it doesn’t add up. Finally, what is your advice to students looking to crack into the sports field? Same advice I would give to anyone looking for a job in any profession which is — standout. Provide something that nobody else is providing. Show a really strong work ethic. Don’t take “No” for an answer. Stay in touch with people. Don’t make it only about who you know, but make it about who knows you. Make yourself seem so valuable that other people think you are actively being recruited. It is not rocket science. It is what we look for when we are taking on interns. But when you get 300 resumes for one internship period, are you going to take the person that has the 4.0 GPA or someone who might have a remarkable skill, like someone who could take film and edit it into a highlight reel to send to scouts? You have to have something out of the ordinary and really demonstrate your value. Thanks to Steve for the interview. Best of luck with the development of your website!